* heya. * you've been busy, huh? * so, i've got a question for you. * do you think even- * ... * no,you know what? * let's cut the sans stuff right here. * i'm not a hero. i never was. * ... * but it doesn't take a hero to see when it's time to take action. * you've done too much for me to sit back and let you kill everyone. * i've seen enough blood on the ground this timeline. * if you take one more step forward, you're gonna find yourself in hell. * for everything you've done to me and my friends. * ... * well. worth a shot. * let's go, little murderer. --- My psuedo-Megalo is done. Why do I say "psuedo-Megalo," you ask? Well, for one reason and one reason only; it doesn't use Megalo soundfonts. It's just modded BeepBox, like Megalo V2. This one was at a size similar to MegaloV2, actually. Tried to keep the structure of it somewhat similar to that one, too. Last Undertale-related song for now. 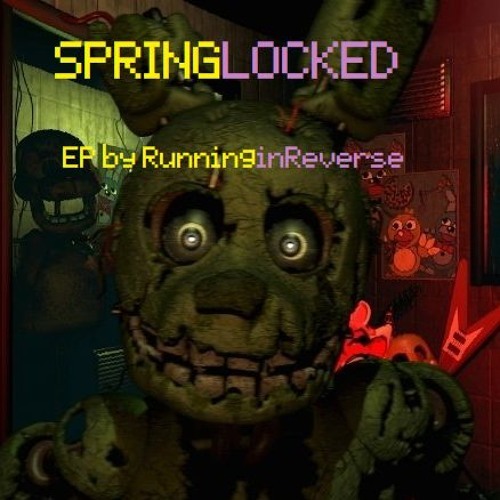 I still need to get back to work on the Springlocked EP. When I have, say, half of the songs done, I might release a teaser song. No cover 'cause I've got no art for it. Enjoy.